There are times when you want to limit a user’s access to a single page, or a specific sub-tree of pages within a Kentico website. 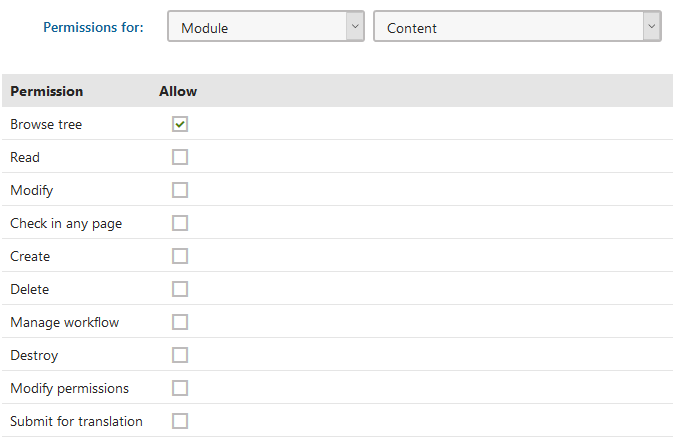 This article quickly describes how to set up page specific permissions in Kentico using roles, and page level security. Head to the “Roles” application. Add a new role called “Page-Only Editor”, and click “Save”. Under the “Permissions” tab in your new role, select the permissions group “Module” -> “Content” (don’t look for “Pages”, you want “Content”!). Select “Allow” for “Browse Tree”. Add a new user with the “Editor” permission level. Under the “Roles” tab, select the “Page-Only Editor” role. At this stage, the user can log-in and see the “Pages” application and view the tree-view of all pages. They won’t be able to open any of the pages for editing, or see any of the page metadata. Go to the “Pages” application. Find the page you want the new user to be able to access, and select “Properties” -> “Security”. Select the “Add Users” option and find the user account you want to assign. 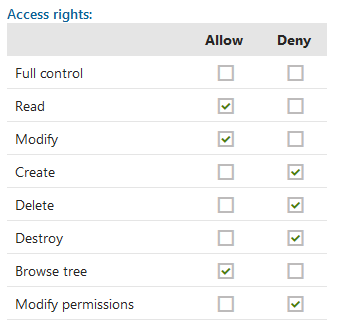 Give the user “Read”, “Modify”, and “Browse Tree” permissions. Your user can now log in and navigate to, view, and modify just the selected page, thanks to the custom role and the page specific permissions in Kentico.